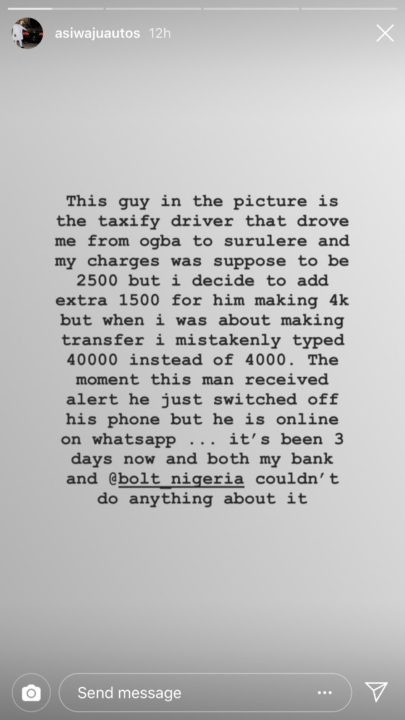 A businessman took to Instagram to call out a Taxify driver who ripped him off after he mistakenly transferred N40,000 to his account . According to him,he was supposed to give the driver N2,500 but gave him an additional N1,500 which amounted to N4000. 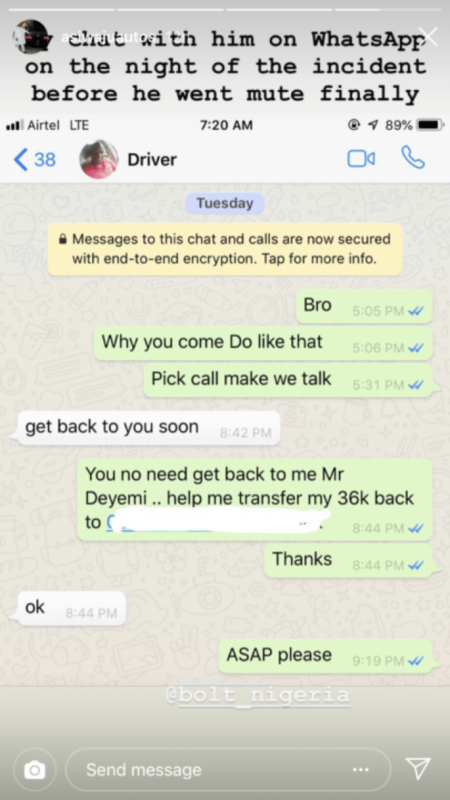 However ,during the transfer,he sent N40,000 instead of N4000 and the driver has refused to refund it for 3 days now.